Able to donate item to raffle? Please list. Please use Chrome or Firefox, Microsoft ended support for older versions of Internet Explorer and you may run into issues registering. 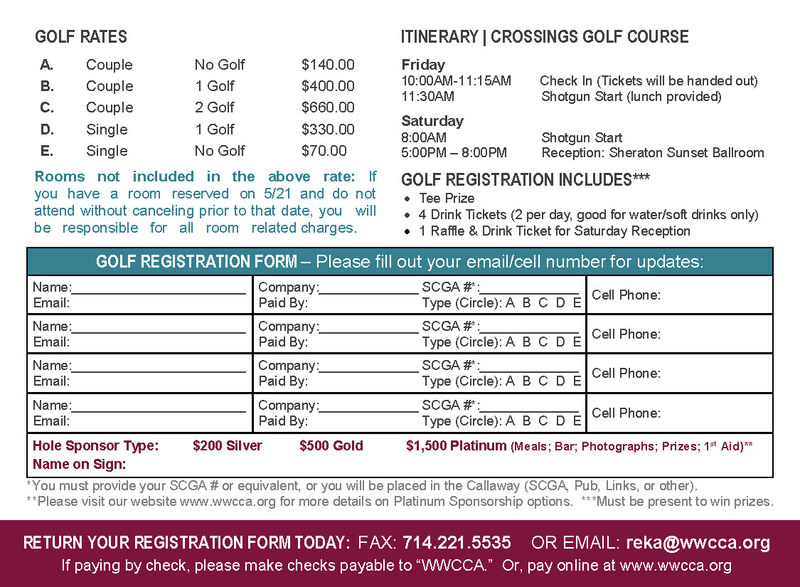 WWCCA is not responsible for your room reservation, please call 833-489-4455 or book your room here. 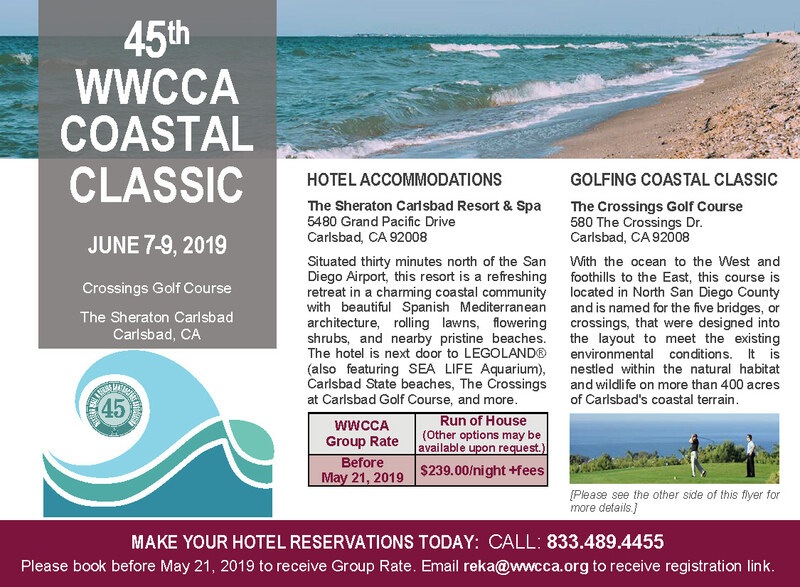 Please BOOK YOUR ROOM prior to May 21, to receive group rate. Please keep in mind ROOM RATES ARE NOT INCLUDED. If you have a room reserved on May 21, and do not attend without canceling prior to that date, you will be responsible for all room related charges. If you registered multiple attendees, you will be contacted for all details relating to your guests.